The Blackhall & Pearl leadership team has extensive global experience in a diverse range of industries with particular expertise in Board, CEO, Risk, Governance, Talent and Data roles. Tim is the co-founder of Blackhall & Pearl. 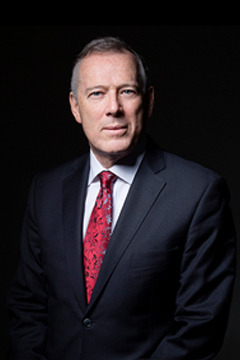 He has had a diverse international career through senior executive and board roles with large and complex organisations including; University of Melbourne, Bankers Trust, Austock and Fidelity. 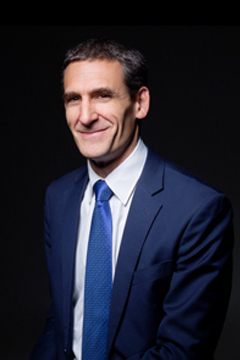 He commenced his senior career as an Executive Director with University of Melbourne before joining Bankers Trust New York as Global Chief of Staff for Risk Management. Tim then moved to Fidelity as the Global Chief Risk Officer, before taking on the role of Executive Director for Fidelity Continental Europe. He has also completed a Doctorate on Board Performance. Harry is the co-founder of Blackhall & Pearl. He commenced his senior career with the NAB as the Australian Head of Operational Risk before joining Bankers Trust as the Regional Vice President Risk Management for Asia/Pacific. He then returned to the NAB as the Global General Manager of Operational Risk and Compliance for the Group. Harry subsequently became the founding Managing Director of the Bank of Cyprus Australia (now Delphi Bank), building it into a full service retail bank. He is currently completing a PhD on Behavioural Science and Artificial Intelligence. Niki is a risk management, assurance and finance expert with significant local and global experience. She spent a major part of her early career at Deloitte in senior management roles, before joining NAB as the Head of Audit for the Personal & Business Bank. She then took on a global role with NAB as General Manager Operational Risk and Compliance, which included responsibility for Operational Risk, Compliance, Financial Crime, Insurance and Business Continuity. Steven has over 20 years’ experience working directly with the chief executives and chairs of Australia’s largest companies. Steven was previously the CEO of the Australian Bankers’ Association, Chairman of the International Banking Federation and Chairman of the Finance Sector Council of Australia. Prior to that, he led government relations for a major bank during the financial crisis. Before joining the finance sector, Steven was Deputy CEO of the Business Council of Australia and an inaugural member of the ASX Corporate Governance Council. 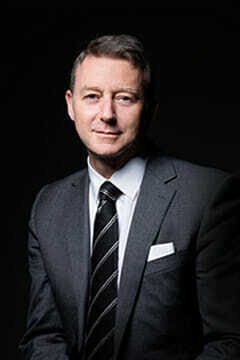 Alec is a recognised global thought leader in the field of organisational performance and talent. His is the former Chief Human Resources Officer and National Partner People & Performance for Deloitte Australia/Asia Pacific and was part of the Deloitte Global Talent Council. Prior to this, he was the Group HR Director Asia Pacific for Peoplesoft and Group HR Manager for Cisco. Alec has extensive global expertise in HR Transformation, Future of Work, Diversity & Inclusion and the overall Talent experience with a strong focus on Digital HR & AI. Jodie has over 25 years’ experience in investment banking and funds management. She commenced her executive career in risk as a Senior Vice President, Head of Credit at BT Funds Management, before becoming Managing Director, Head of Client Credit Group at Societe Generale. She then joined ANZ Institutional Bank as the Head of Business Credit Performance and Controls. More recently, she was CEO and MD of fintech business, Morgij Analytics. Jodie is a Trustee Fellow of the Australian Superannuation Funds Association and a Graduate of the Australian Institute of Company Directors. Tracy is the former Chief Corporate Services Officer for New York based talent management company Hudson Global, responsible to the CEO and Board for the global People, Marketing and Legal functions. Prior to this she was their Global Chief People Officer. Previously, Tracy was Vice President, Global Solutions at TMP Worldwide in New York, led an executive search business in New York, and held executive leadership roles in human capital management in Australia with AXA and Codan Limited. Sam has extensive experience as a governance professional. He commenced his career as a lawyer then held senior company secretary and legal roles at Bonlac Foods, Zinifex and BHP Billiton. He has advised many organisations on their enterprise governance and has delivered major change projects at large, complex organisations. In 2010 Sam founded a company which provides expert support and software for making delegated authorities clear and effective. Sam presents frequently on corporate governance and co-authored the Guidelines for Whole-of-organisation Governance published by the Governance Institute of Australia. Stephen is a highly experienced company secretary and governance professional who has worked with a wide range of Australian and international companies. He has held senior finance, reporting, accounting and corporate tax consulting positions at WMC Resources Ltd, Exxon Chemicals and PricewaterhouseCoopers. 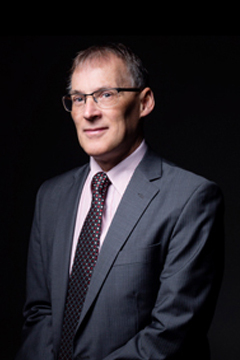 Stephen’s governance and company secretary career included the role of Company Secretary at Medibank Private Limited and General Electric (Australia and New Zealand). Roger has over 15 years’ international risk management experience gained in ‘Big 4’ professional services firms, government and international grocery, convenience and foodservice retailers, including 7-Eleven and Starbucks Australia and Woolworths South Africa. He has been a member of governance committees, including the 7-Eleven and Starbucks Audit and Risk Committees, Workplace Health and Safety and Food Safety Committees. He has recently worked with 7-Eleven Australia’s Board and Executive to address significant risks relating to organisational culture, franchisee employment non-compliance and food safety-related product withdrawals.